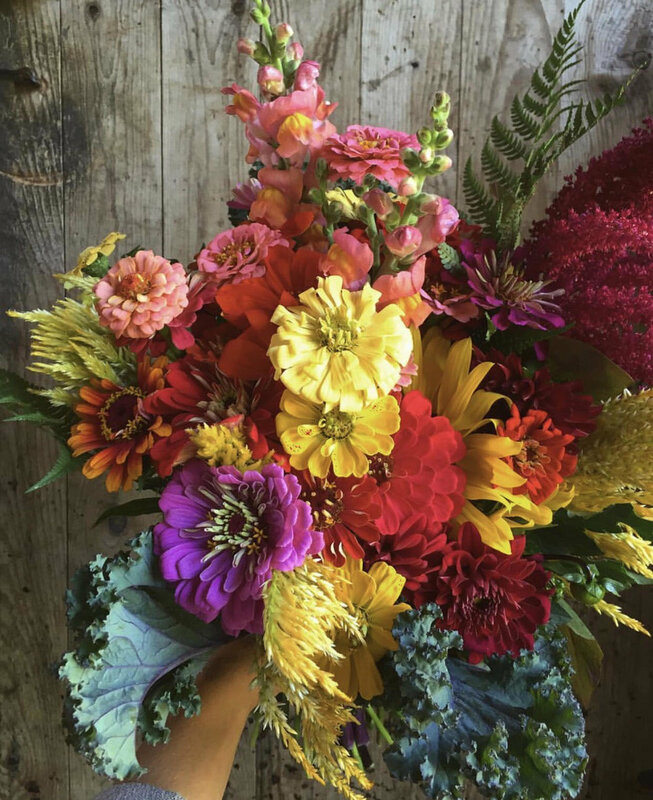 CSA stands for Community Supported Agriculture, and it’s a great way to enjoy fresh, beautifully-arranged blooms all season long. Each week, you can expect something new (and equally lovely). In addition, your weekly shares go a long way in helping our farm buy needed supplies for the coming year. 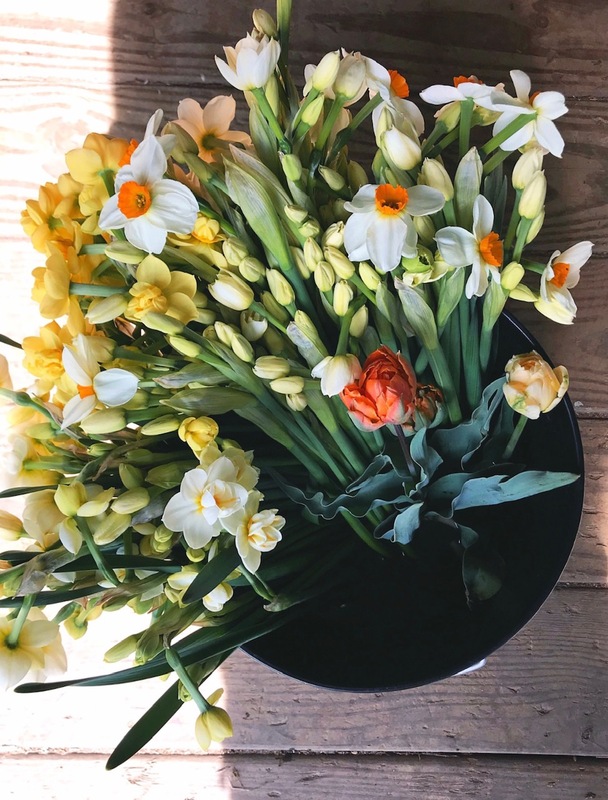 Members receive a weekly bouquet of locally-grown flowers arranged and packaged for pickup at our farm or at FUEL in Great Barrington. 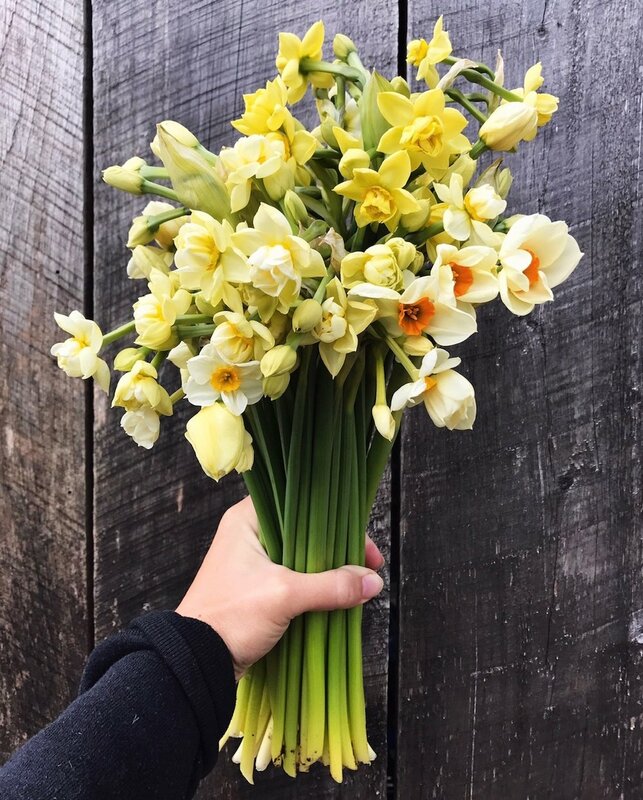 Our specialty-cut flower are grown organically and are so much fresher than anything you’ll find at local grocery stores and flower shops. SPRING CSA: 4 weeks - April/Beginning of May - End May. Spring shares are mixed or straight bundles of fragrant heirloom narcissus or unique double tulips that come wrapped in brown paper wrap for easy transport. SUMMER CSA: 10 weeks - Mid July - Mid September. Bouquet shares are lush, pre-arranged, hand-tied designs that come wrapped in brown paper wrap for easy transport. 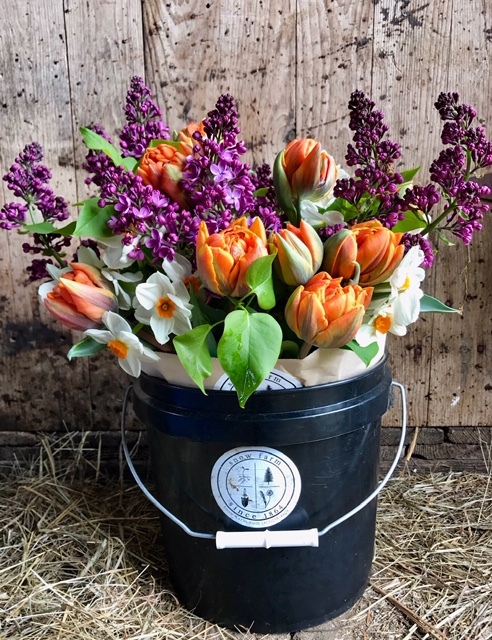 Bucket shares are stuffed to the brim and come in a 6 quart bucket that you return each week when you get your new batch of blooms. The flowers in this share are loose stems, meaning they are not arranged in a bouquet. The bucket share is a great choice for members who love to create their own floral art and have multiple bouquets around the house. We’ll let you know no less than one week before the first pickup that the CSA is ready to roll! Download our CSA Enrollment Form. We offer specialty bouquets upon request. Blooms will be carefully selected to include varying shades and styles of Zinnias, Sweat Peas, Cosmos, Sunflowers, Dahlias, Celosias, Gladiolas, Herbs, Textural Grasses and more! Also, inquire about our bucket shares for customers interested in a larger quantity of loose blooms to fill your home with smaller arrangements. See our flower selections on Pinterest. We look forward to sharing a season of ultra fresh and locally sourced flowers with you! Please email us at snowfarmcuts@gmail.com for more information. Hosting an event? Let us custom design your upcoming wedding or special event with seasonal and locally sourced flowers. Fully customizable options range from comprehensive event design to DIY bulk flowers. See examples of how our flower designs can enhance your special event.